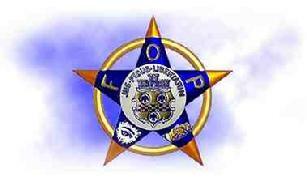 Lodge Sixty Five of the Fraternal Order of Police was formed during May of 1952 as the "Pagoda Lodge" and originally consisted of eighty- five sworn officers of the Pennsylvania State Police from the Reading Troop Area, who became the charter members. Prior to forming their own lodge, some of those assigned to the troop were affiliated with the Berks County Lodge. Phillip C. Chulick was elected on that initial year as the first of twenty-one members who have served as Lodge President into 2004. Ronald Y. Johnson, the only member to have served as a National Lodge Officer, also is the only President to have served two non-consecutive terms, having been elected in both 1972 and 1988. Current President David J. Gecelosky, who was first elected during 1998, has the longest tenure in office, and is now serving in his tenth year. The Constitution and By Laws of the Lodge were adopted in 1953, and the last of twelve revisions to the same were approved during 1996. The name of the organization was changed to "Melley Memorial Lodge" in 1958 to remember Philip C. Melley, who was slain in the line of duty during 1957. Trooper Melley is still honored to this day on monuments at Washington, D.C., Reading, Hershey and Summit Hill, PA.
FOP Lodge #65 joined with the fourteen other similar entities from within the Commonwealth in 1963 to form the "Conference of State Police Lodges", which was awarded the first of an ongoing series of collective bargaining agreements beneficial to all State Police Officers during 1972. In 1990 the Conference of State Police Lodges became known as the "Pennsylvania State Troopers Association", of which Lodge #65 has remained an active participant to this day. Bruce A. Edwards, elected Lodge President during 1996, is currently serving as the twelfth President of the Pennsylvania State Troopers Association since 2002. The Lodge celebrated its 45th Anniversary in 1997 at Hamburg, and the 50th Anniversary during 2002 at Shartlesville, with social events whose attendants included some of the lifetime members. The third of three permanent publications with bylaws were distributed in 1999. Over 750 persons in six categories of membership now comprise Melley Memorial Lodge, including over 400 current and former State Police Officers, most of whom served and or resided in Lebanon, Berks and or Schuylkill Counties at some time. The meeting locations are rotated monthly, with at least two lodge events held annually within each of the five station areas of Reading Troop L since 1996. A more detailed record of the Lodge was submitted to the Grand Lodge in 2002 for a pending National History publication.